Addie Straatmeyer has had a rough Cross Country season. After spending the summer recovering from a knee injury, she started the season strong and ready to compete, with her eyes set on another state championship. Unfortunately, about four weeks ago, she suffered yet another knee injury that caused her to sit out on the past few meets. But now, after some rest, she’s hoping to get back out there with her team and bring home another state title. 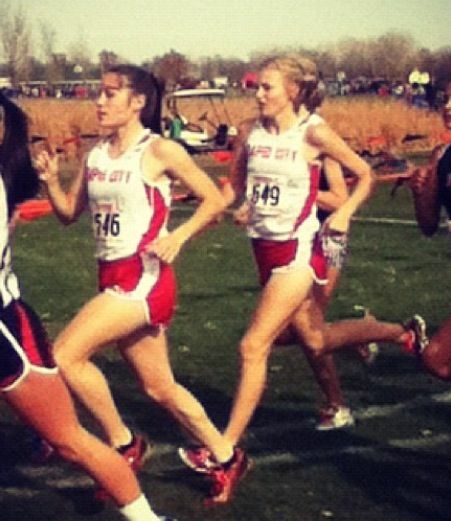 Addie (right) runs at a meet earlier this season. Addie started her cross country career in the 6th grade, when her mom made her sign up. At first she didn’t like it, but when she signed up again in 9th grade, she started to fall in love with the sport. “It’s a big stress reliever for me. When I can’t run, I get cranky. I need running to be my normal self!” Addie told me. When talking with Addie, I could see how much she loves her sport and her team. I think that is the key to being a good athlete: you have to be completely in love with what you’re doing. Addie is a prime example of that, as well as how working hard and staying dedicated will lead to success. She is a kind, down to earth girl who has great goals and a fantastic future ahead of her. 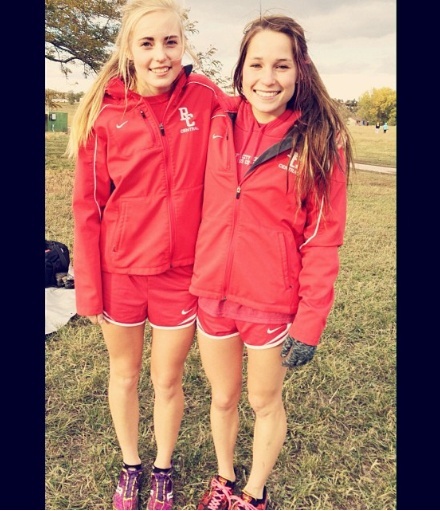 Addie (left) smiles with teammate Hannah Hearn (right).